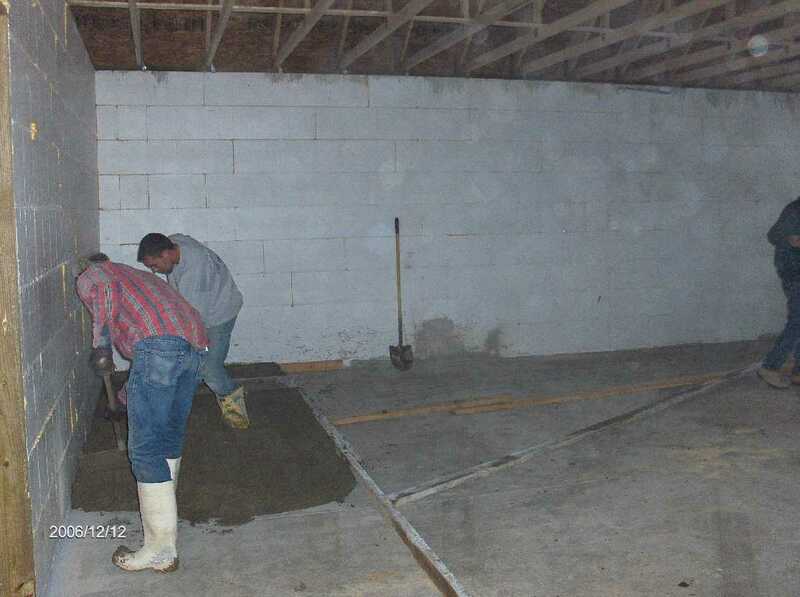 The first floor slab concrete was placed on Dec-05-2006. 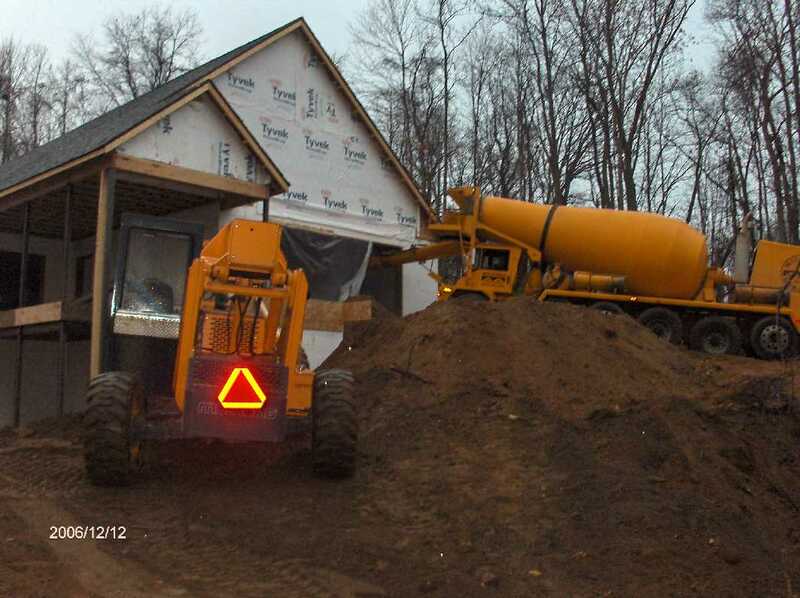 The weather that day in Southeastern Michigan was in 20s (Fahrenheit) -- so we had left out placing concrete in the Porch area and the raised portion of the Garge at entrance to the house. It has warmed up today with the expected high in high 40s and may be even 50 degrees Fahrenheit and it is supposed to be about 10 degrees above normal for this whole week. 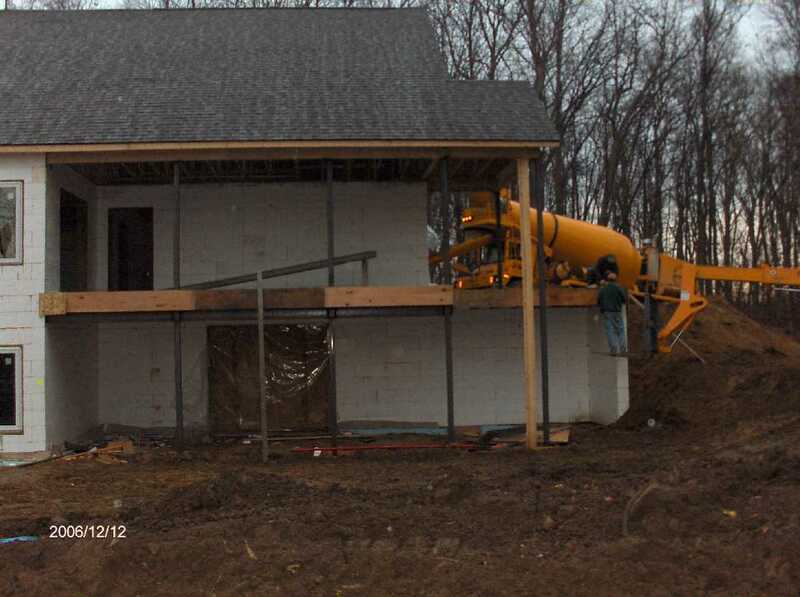 So we poured concrete in the elevated Porch area and the raised portion of the Garage. We did use 1% Calcium Chloride accelerator in the mix. For crack control we used 1/2" long fiber -- 1 Lb per cubic yard mixed at the batch plant. 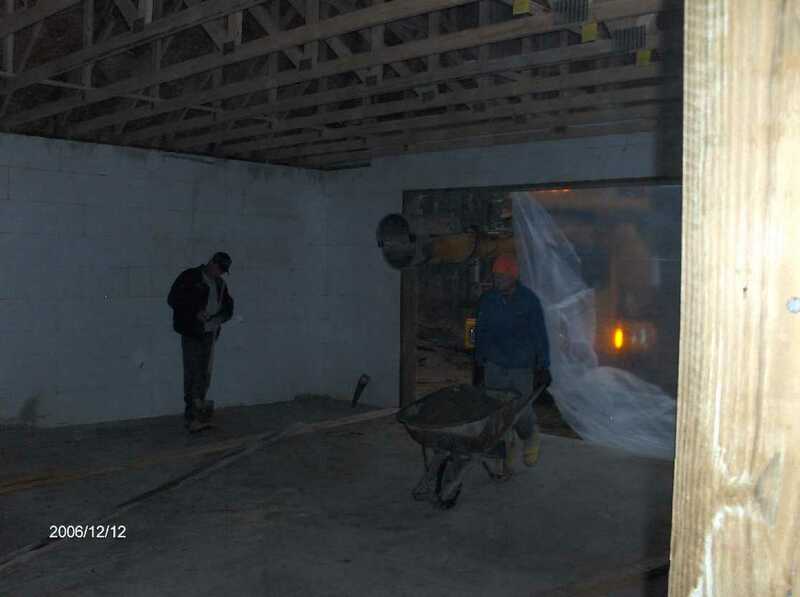 We did not have to use heaters in the basement to keep the Porch Area Floor Metal Deck warm. Since we had a small pour, we used a chute off the Ready-Mix truck and a wheel barrow for today's pour.